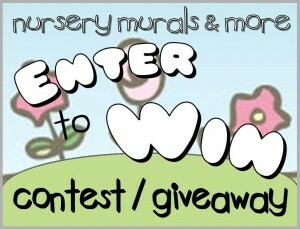 I have a great giveaway going on, until this Saturday, on my Nursery Murals and More blog!? BuggaLove is our sponsor.? They offer an array of great products for the nursery. They are offering one lucky winner their very own set of custom made wall letters.? Any name you choose! Check out my site for your chance to win! How very decorative! I like these a lot. Would like to see them in varying sizes though other than nice inch.